Teledyne AnaFocus CMOS image sensors combine best-in-class proprietary pixel and digital output readout circuitry, rivalling the image quality of the finest CCD and CMOS image sensors in the world, with sophisticated digital logic providing with complete camera functionality onto a single chip solution. On chip network of image processors (NoIP) performing in real time sophisticated functions such as white balance, black balance, optical PRNU/DSNU/shading compensation to provide ready to use, clear, and vivid images under the most severe working conditions. 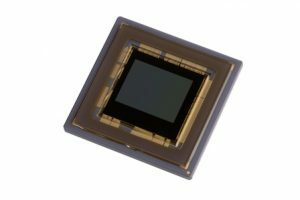 The smart combination of the previous building blocks results in CMOS image sensors with image quality satisfying the most demanding applications and with unprecedented levels of functionality helping to remarkably simplify the systems hosting said image sensors. In addition to the image sensor, the Teledyne AnaFocus team provides customers with highly educated support to select the most suitable camera hardware/firmware/software configuration, lens and lighting system to get the very best from the image sensor. Our CMOS image sensor design, production and delivery methodology has been refined and proven through many projects in cooperation with the most demanding customers all over the world and in various CMOS processes. Such methodology includes the availability of a software emulation tool permitting customers to evaluate, right from the beginning of the development project, the configuration and expected quality of the image sensor under all possible operating conditions.